Video game retailers cleaning out an old warehouse in the Rashidia area of Dubai stumbled across video gaming's Pandora's Box - a sealed crate containing 100 Nintendo Virtual Boy systems, intact in their original packaging. The fact that 100 pieces of stock could have been misplaced like this serves as a solid representation of how little people cared for the poor VB. "This product was just left years ago and nobody knew it was in stock," said Vijay Chandrabota, the purchasing manager for Geekay Games in Dubai. "For me, it was dead stock. 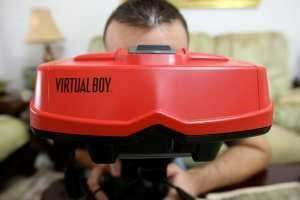 I didn't even know that this Virtual Boy existed until we found it."